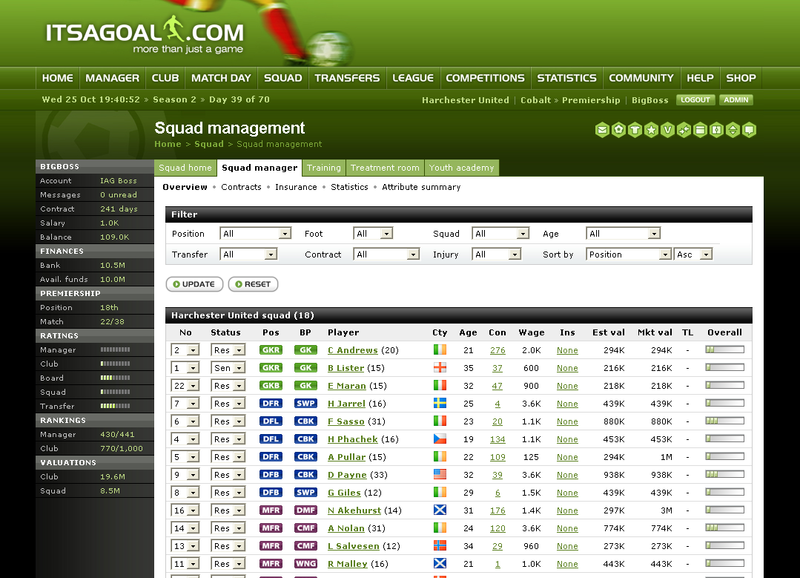 Manage and build your own football club from the ground up and lead your players to glory. Compete with thousands of real online football managers who want to win the football league title and become the top football manager. Enter your club into Football League Cup and Super Cup competitions. 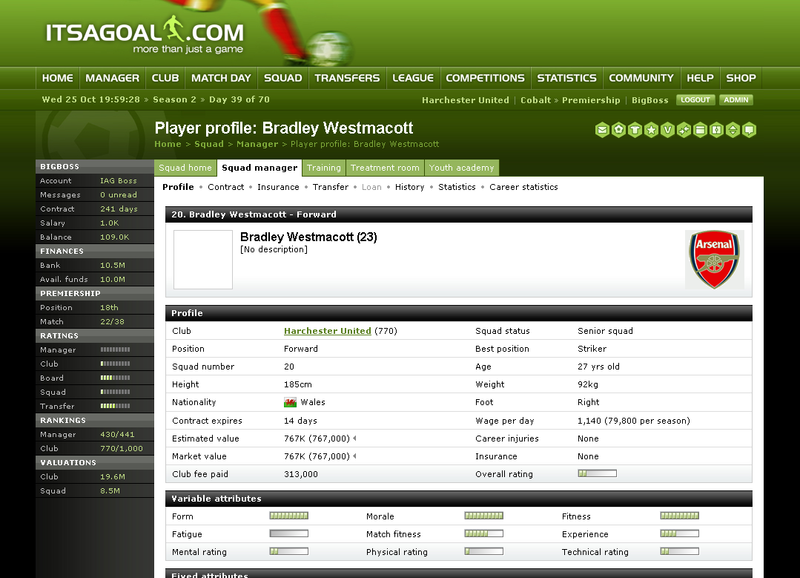 ITSAGOAL.org gives you full control over your football club and players. Buy and sell players on the transfer market or nurture youth players through your club's football youth academy. Increase the size of your football ground and get extra gate revenue. 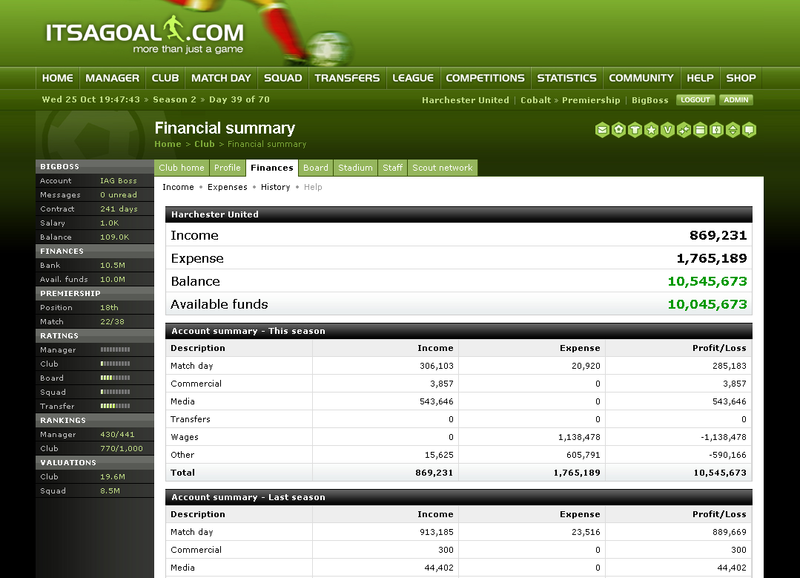 ITSAGOAL.org gives you the total experience of being a real football manager and it's free to play. Employ scouts, coaches, physios, youth coaches and assistant managers to help you build a world class club. 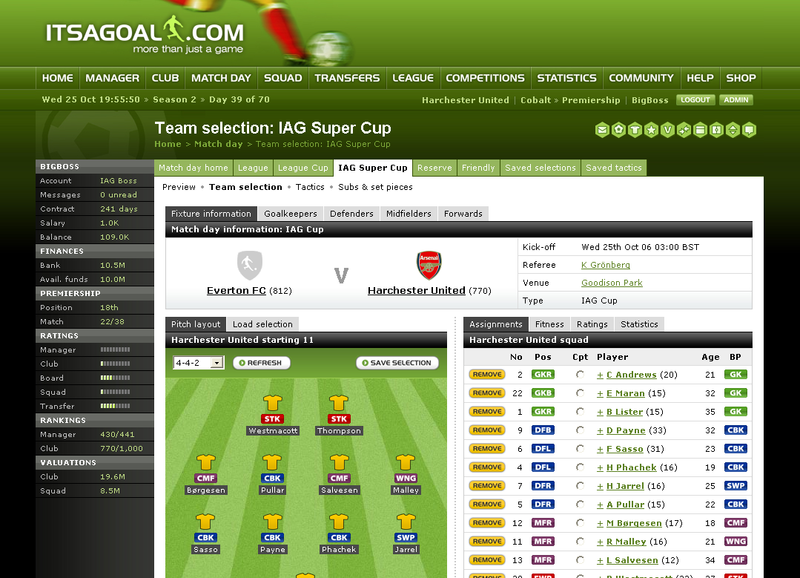 Go head-to-head with thousands of football managers from all over the world. Compete in leagues, cups and friendlies as you strive to establish yourself as the best football manager of all time.